← Bits: Tom’s 3rd Birthday Party! 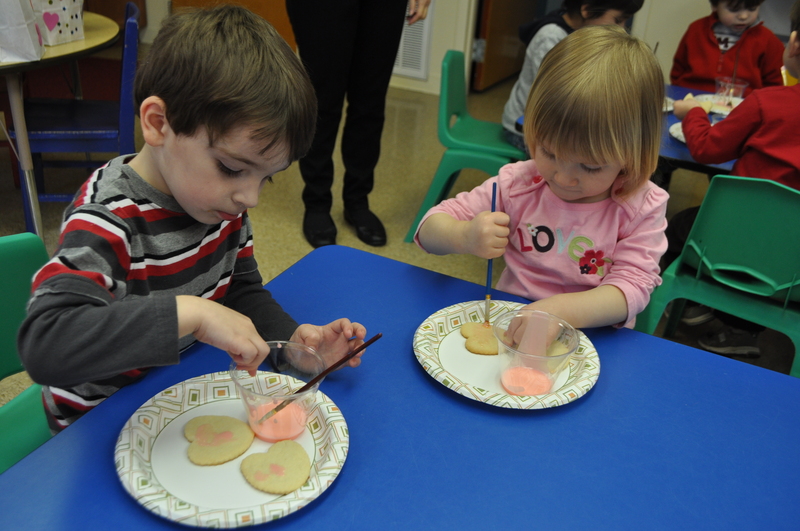 Valentine’s Day was a super day filled with love, cookies and Tom’s first school Valentine’s party! 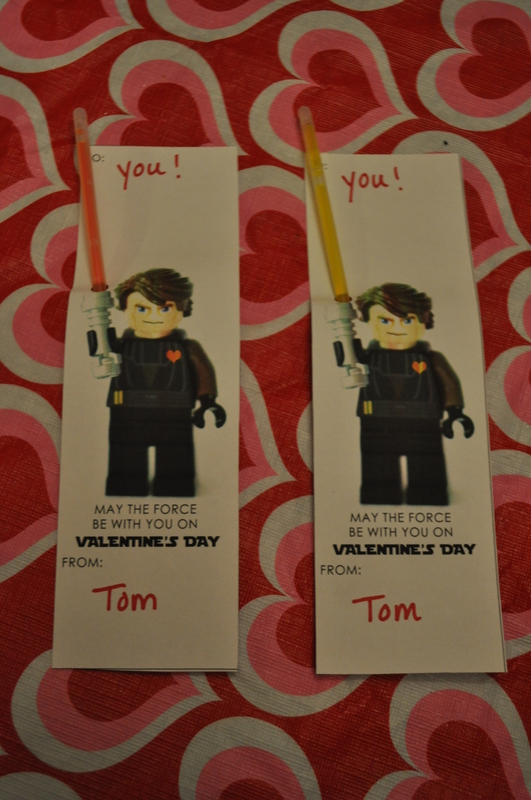 I cannot believe Tom actually exchanged Valentines. 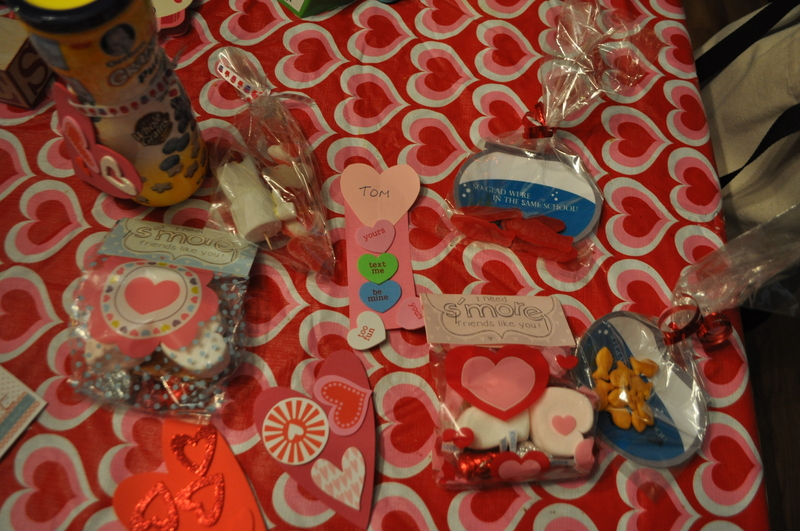 The night before his party, I realized I needed Valentines for him. So I printed these at home and added glow sticks I already had. Whew! 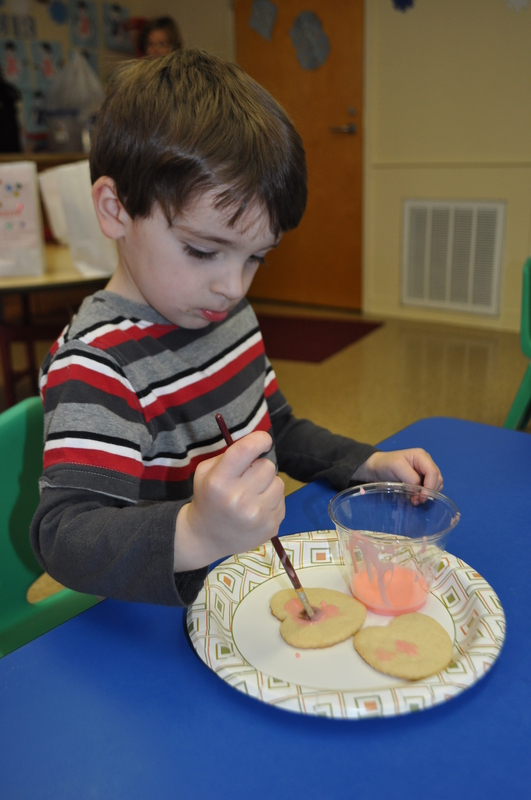 Painting icing on cookies was such a big hit at Christmas, we did it again for Valentines. Because I’m super creative that way. In other news: Aren’t Tom and Violet the. cutest. ever. I know! Concentrating. And really, that’s pretty much all the decorating he did before eating them. Emma is Tom’s best friend in school. And they are almost holding hands here because LOVE. 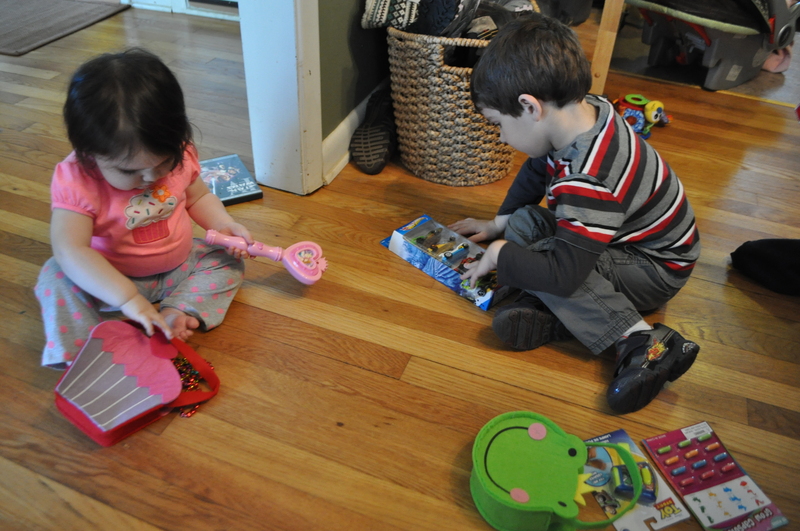 When Tom got home from school, I gave the kids their gifts from us. Necklaces and a wand for Alice, cars and a flashlight for Tom. Because LOVE. 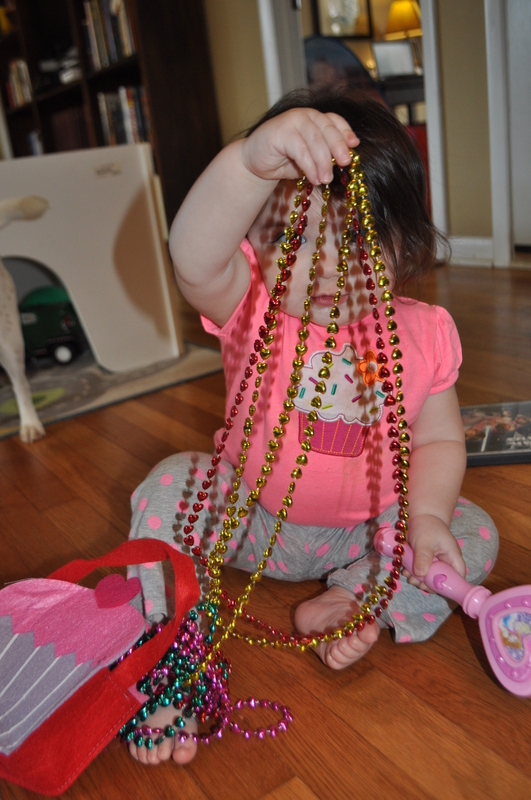 She loves her necklaces. A lot. Because she is a girlgirlgirlgirlGIRL! 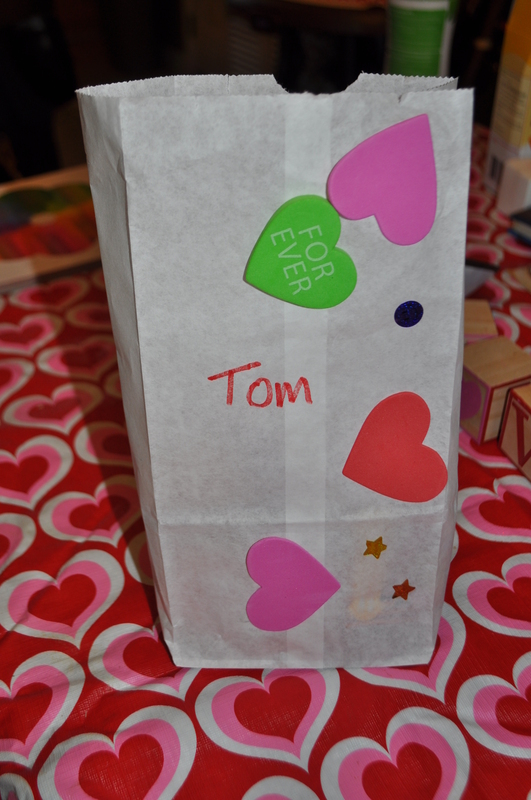 I really liked how Tom decorated his Valentine bag for school. Awesome. 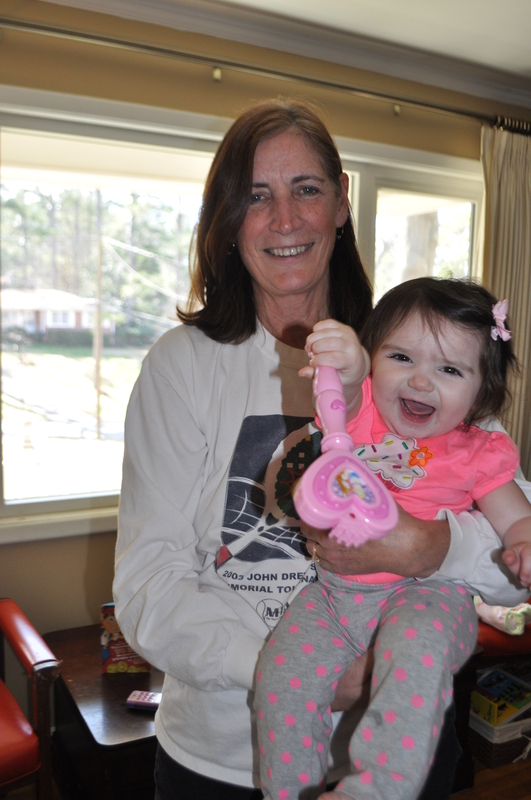 Grandma was here with us for Valentine’s Day, which Alice really loved! 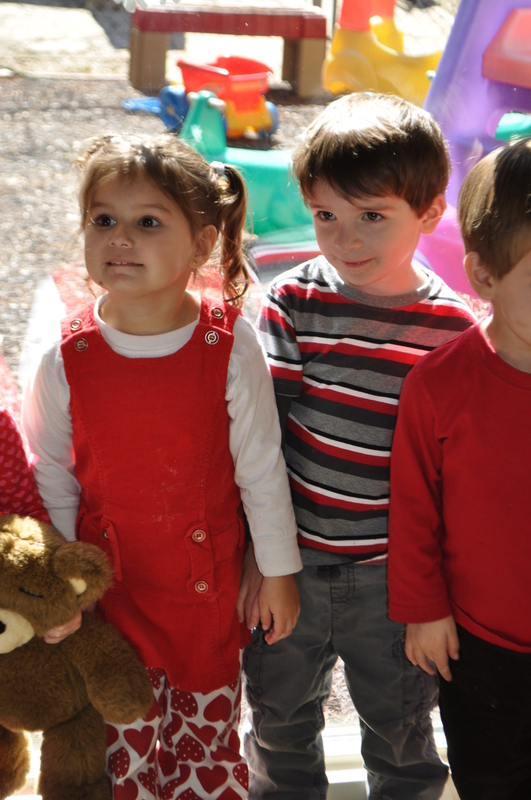 And after all that partying, the next day we did it all again with our playgroup! The valentines on the left are (again!) 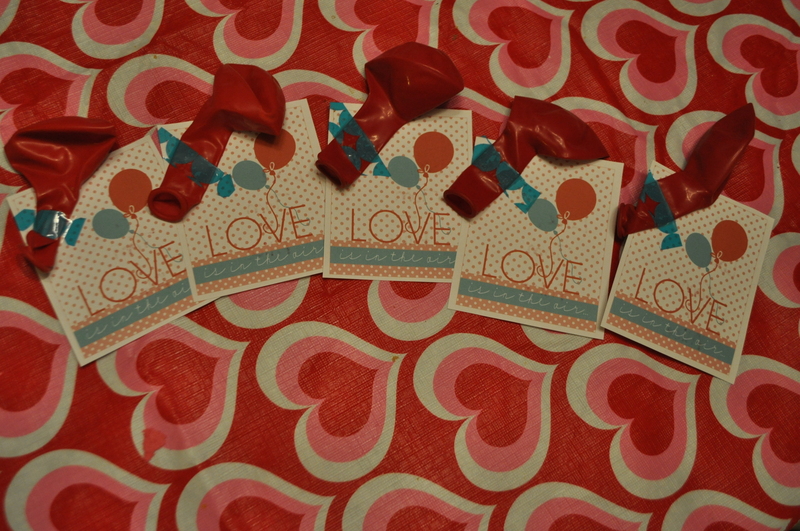 a last minute print/add-balloons-we-had and the ones on the right show you that my playgroup friends MEAN BUSINESS when it comes to valentines. Overachievers! 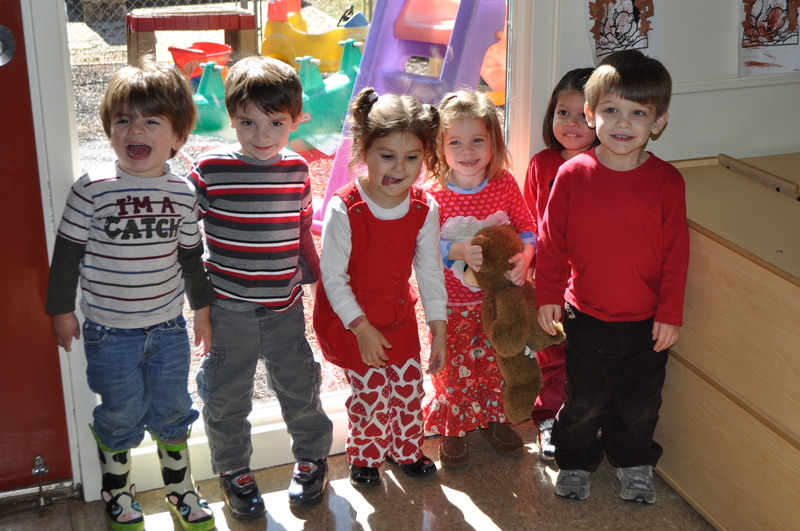 Hope y’all had a wonderful Valentine’s Day, too! LOVE! This entry was posted in Alice, Friends, Holidays, Motherhood, Tom. Bookmark the permalink. 1 Response to Valentine’s Day. I looked to see if they were holding hands because it looked like they were. I would have loved to have been at this party! Can I be a room mom without having a child in the class, and without having a child at all? No? Too creepy? Okay.